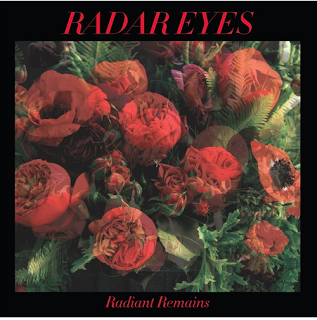 Chicago quartet Radar Eyes are streaming their forthcoming masterwork Radiant Remains in its entirety starting today via Impose Magazine. The album is available to hear and share via Impose and Soundcloud. Radar Eyes play a couple of rare live shows this weekend. The first in Milwaukee, WI on Thursday, then in Chicago on Monday (Labor Day) with labelmates Pink Frost and Brian Case. Brooklyn Vegan recently shared the album's lead single "Community" HERE. PopMatters followed with the song "Midnight Drive" HERE. Radar Eyes is embarking on a Fall tour in support of Radiant Remains, and Cozzi says he expects to have even more new Radar Eyes music written by the end of the year. If this is a new era for the band-which also includes guitarist Russell Calderwood, drummer Nithin Kalvakota, and bassist Lucas Sikorski-this record is a phenomenal way to kick it off. Radiant Remains will be available on LP, CD and download on September 2nd, 2016 via Under Road Records. 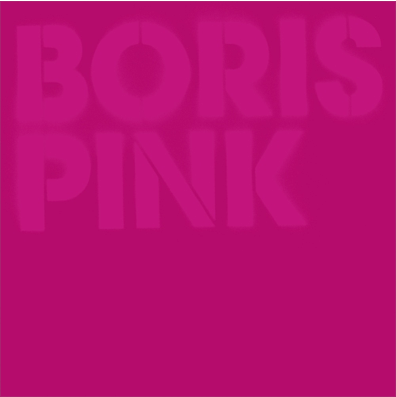 Japanese trio Boris today announce that they will bring their just completed North American tour Boris Performing Pink to Europe and the UK this Fall. The band is touring in support of the 10th anniversary Pink (Deluxe Edition) reissue, released in July on Sargent House. Please see current dates below. NPR previously premiered "SOFUN" HERE. Pitchfork announced the release with "Are You Ready?" HERE. 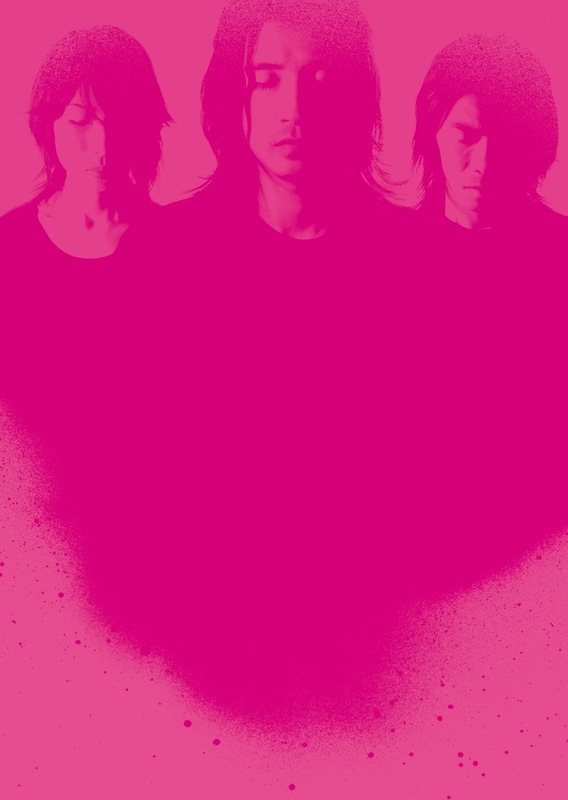 The complete Pink (Deluxe Edition) is available to hear and share via Bandcamp. 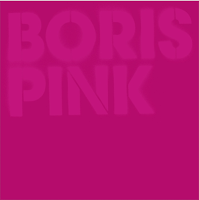 Pink, the landmark 2006 album by Boris, which earned widespread critical praise -- including Pitchfork's Top 10 Albums of 2006 -- was reissued in an expanded edition for the album's 10th anniversary. The deluxe 3xLP box set and 2xCD features an entire album of previously unreleased tracks recorded during the Pink album sessions in 2004-2005. The bonus Forbidden Songs collects 9 tracks of the same hyperactive, accessible and aggressive caliber of the original album, available here for the first time, mixed (with additional editing and arrangement) in 2015 and mastered in January 2016. Pink (Deluxe Edition) was released everywhere (excluding Japan) on July 8th on 3xLP box set, 2xCD and download via Sargent House. iTunes orders HERE, 3xLP box set and 2xCD editions are available via Hello Merch. Star Treatment will be available on Sargent House worldwide -- excluding Europe, where it will be released by longtime Wovenhand label Glitterhouse Records -- on September 9th. Stereogum previously premiered the album track "Come Brave" HERE. (Direct Soundcloud). The Onion AV Club also recently shared "The Hired Hand" HERE. (Direct Soundcloud). The band embarks on an extensive European tour in September with main support from Emma Ruth Rundle, also of the Sargent House family, on all shows except Helsinki and Reeperbahn Fest. Please see complete dates below. The music of Wovenhand and songwriter/multi-instrumentalist David Eugene Edwards has always had an unparalleled intensity. Edwards' rich, billowing and emotive voice is always the driving force of his music, but it's catapulted by his spellbinding ability to transform instruments that many people might consider mundane relics - be it banjo, accordion, lesser-known folk instruments from around the world, or even an electric guitar - into devices of dark fury and poignant beauty. From the apocalyptic revivification of antique Americana of Sixteen Horsepower in the 90s to the threadbare balladry of Wovenhand's early releases, Edwards' music has maintained its celestial heaviness as it evolved. 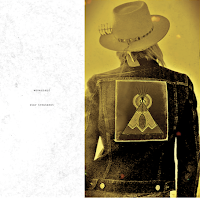 But now in its current incarnation, Wovenhand is a band that fully expands that power with exacting and inventive skill. It's a sound so distinctive and compellingly crushing that even the heaviest of metal bands can't match. Wovenhand's current lineup includes guitarist Chuck French, bassist Neil Keener (both of Planes Mistaken For Stars) and drummer Ordy Garrison, now joined by piano/synth player Matthew Smith (Crime & The City Solution). Star Treatment was recorded at Steve Albini's legendary Electrical Audio in Chicago with engineer Sanford Parker, who also helmed Wovenhand's 2014 album Refractory Obdurate. While Wovenhand ought to be a familiar name to anyone interested in forward-thinking music, the album title Star Treatment isn't a reference to our celebrity culture obsession. Rather, it's a clever reference to concepts of astrolatry, or humanity's enduring interest in the stars of the night sky. "It's ethereal in its concept," Edwards explains. "There are many layers, as always. I've been paying attention to the stars in the sky and in literature, and it's a theme throughout the album." He adds, "There's more love song style on this in general, which is nice. The idea of what love is and how it's expressed and all these different atmospheres." Star Treatment will be available worldwide excluding Europe on LP, CD and download via Sargent House on September 9th, 2016. 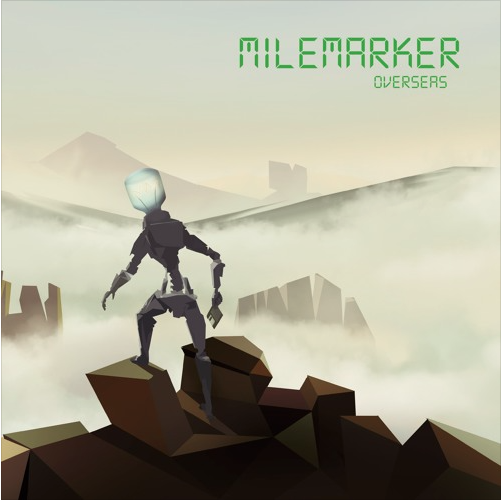 Reunited 90s-00s synth punk band Milemarker are streaming their new album Overseas today via Noisey. The album is their first in 11 years, and the band is currently in the midst of their first U.S. tour since 2008. Overseas is available to hear and share at Noisey and Soundcloud. Milemarker also recently reissued their landmark Y2K album Frigid Forms Sell (Jade Tree/Lovitt) on vinyl. The reissue is the album's first time on vinyl in 16 years, and includes 7 unreleased tracks. The demo version of "Industry For the Blind" is available to hear and share HERE. (Direct Soundcloud). Coming a decade after their last full-length release, Overseas is notable for being such a focused and cohesive effort. 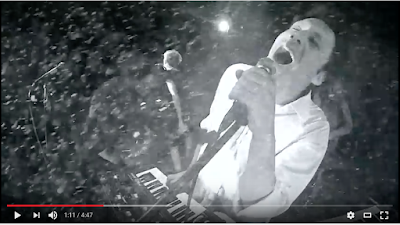 Fans of early 2000s releases like Frigid Forms Sell and Anaesthetic will find a clear sonic continuity in the angular, aggressive guitars, tense melodic vocals and soaring keyboard hooks. New members Lena Kilkka (synth, vocals) and Ezra Cale (drums) deepen the krautrock and electronic tendencies, pushing the sound in unexpected directions. Recorded in Berlin and Hamburg, Germany (where the band is now located), with Electrical Audio studios' Greg Norman (Russian Circles, Godspeed You Black Emperor!) behind the board, Overseas combines the confidence and swagger of a band that has grown up playing music together with the fresh ears and attitude of a brand new band. Milemarker played nearly 1000 shows in support of their releases Frigid Forms Sell (Lovitt, 2000) and Anaesthetic (Jade Tree, 2001), touring extensively in North America, Europe and Japan, along the way sharing the stage with bands such as Wire, Mission of Burma, At The Drive-In, The Hives, Thursday, Blood Brothers, International Noise Conspiracy, High On Fire, The Yeah Yeah Yeahs, Muff Potter, Cave In, Les Savy Fav, Spoon, Monochrome, Turbostaat, The Faint, The Locust, and Hot Snakes. Overseas is available as LP/CD/MC/Download via Lovitt Records on August 26th, 2016. Wovenhand premiere a new track from their forthcoming album Star Treatment today via The Onion AV Club. The song, "The Hired Hand" is available to hear and share HERE. (Direct Soundcloud). Star Treatment will be available on Sargent House worldwide -- excluding Europe, where it will be released by longtime Wovenhand label Glitterhouse Records -- on September 9th. 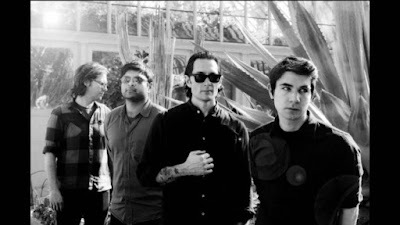 Stereogum previously premiered the album track "Come Brave" HERE. (Direct Soundcloud). The band plays Psycho Las Vegas fest on August 26th before embarking on an extensive European tour with main support from Emma Ruth Rundle, also of the Sargent House family, on all shows except Helsinki and Reeperbahn Fest. Please see complete dates below. Star Treatment kicks off full tilt with the anthemic charge of "Come Brave" - the song's galloping four-on-the-floor drums driving churning swells of droning, chiming guitars and organ as Edwards' soaring voice compels us to rise and join the fray. "The Hired Hand" takes a more Western bent with swaggering guitars awash in reverb and a throbbing bass line before the chorus erupts with massive open guitar chords as Edwards howls, "give up your dead." Further, "Crystal Palace" sounds like Eastern European folk driven through a massive wall of amplifiers while a full gospel choir sings just beneath the gurgling surface of guitars. "Crook and Flail" sounds exotic in its twanging acoustic instruments and tabla/dumbec drum pattern. Elsewhere, "Golden Blossom" is a lush and beautifully unabashed love song, strummed out in a simple, catchy melody that builds to crescendo with the chorus refrain, "only you, my love and your light." Throughout, Wovenhand deftly merge the outer reaches of rock and world folk sounds with increasing urgency and force. Chicago quartet Radar Eyes premiere a new track from their forthcoming masterwork Radiant Remains today via PopMatters. The song "Midnight Drive" is available to hear and share HERE. (Direct Soundcloud).